These amazing Night Heron wind turbines made of locally-sourced scraps give rural Kenyans a whole new lease on life. Based on Hugh Piggot’s open source design, the turbines are built from recycled car parts and other scrap materials and cost just over $2,000 to build and install. 32 million Kenyans are unable to read at night without polluting kerosene lights or to refrigerate food and medicine – daily activities that we take for granted. These new, affordable turbines provided by Access:energy have genuine potential to change that. A division of Access: collective, Access: energy invests in sustainable technologies for East Africa. The Night Heron wind turbines are what they call the first commercially viable zero-import wind turbines that produce up to 2.5kWh per day. This is enough energy to power 50 rural homes. Among the first clients are a local radio station and a private client who wants to create an energy hub for his home. Night Heron wind turbines provide energy that is 2 to 3 times cheaper than energy provided by solar PV panels mostly because of inexpensive materials. 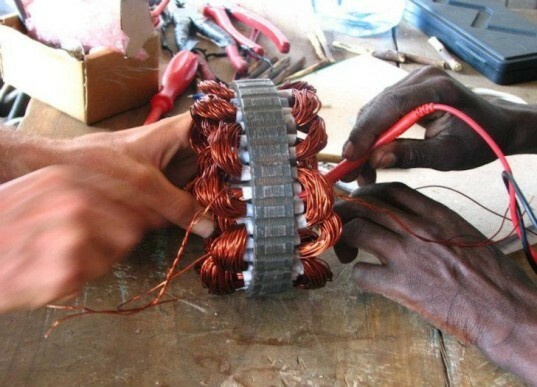 Access:energy just raised $15,000 through an Indie GoGo campaign and takes pride in knowing that rather than putting a band-aid on Kenya’s energy shortage, they are empowering local people to build their own sources of energy, making them completely self-sustaining in the process. Like the first school in Nigeria built out of plastic bottles, this project is truly sustainable since it literally puts the power back in the locals’ hands! That's funny, just from the article cover picture I thought it was one of Hugh's. Does anyone know how accessible decent batteries are for the people building these? That is often an unfortunately large expense. Also, kudos to whomever carved those blades, they look amazing. These amazing Night Heron wind turbines made of locally-sourced scraps give rural Kenyans a whole new lease on life. 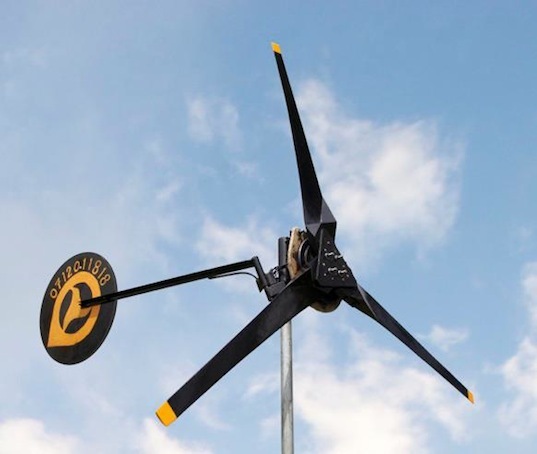 Based on Hugh Piggot's open source design, the turbines are built from recycled car parts and other scrap materials and cost just over $2,000 to build and install. 32 million Kenyans are unable to read at night without polluting kerosene lights or to refrigerate food and medicine - daily activities that we take for granted. These new, affordable turbines provided by Access:energy have genuine potential to change that.